Based in Chichester, West Sussex, we are leading independent electrical contractors and solar PV panel installers. We are members of the NICEIC approved contractor scheme for our electrical work, and the NICEIC MCS scheme for our solar PV projects. 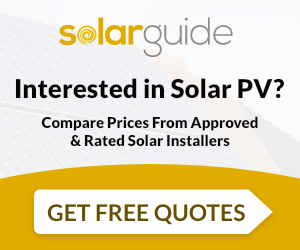 City and Guilds trained in electrical installation and solar panel installation, We have several years experience in the electrical field and have installed well over 200 solar PV systems. We are not tied to any single manufacturer, so can provide the most suitable electrical or solar solution for your home or business. We provide free no obligation surveys and ensure an efficient and comprehensive service from concept to completion. South Coast Electrical & Renewables are MCS accredited engineers who supply and install Solar PV. For similar installers in this area please visit the Chichester solar page. "We were very pleased with the quality and punctuality of the workmen. Everything was done as specified with no hidden extras and helped with the FIt documentation, etc. We have already recommended them to others..."